The Queen Bee is almost unrecognizable and the reason for her change is heartbreaking. Sunday night, Lil Kim posted a pic to Instagram that had fans stumped because the Queen Bee looked almost unrecognizable. Shortly after the picture was posted Twitter was full of fans commenting about the rappers new look. 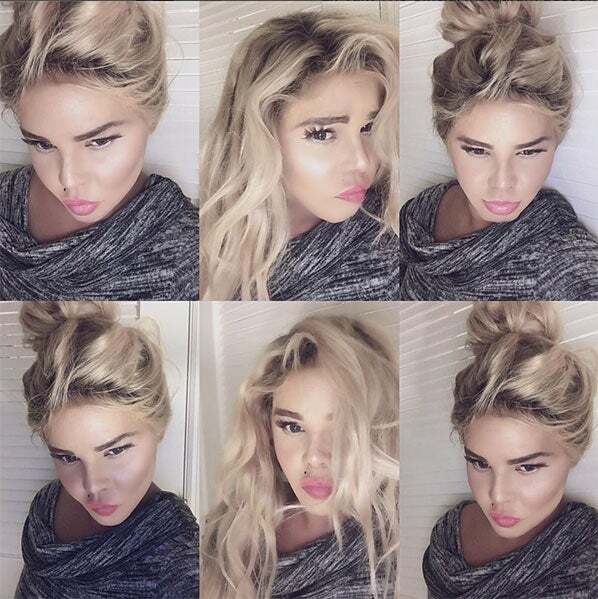 While many people had jokes, others pointed out that there were other factors to consider when talking about Lil Kim’s new look like colorism and eurocentric beauty standards. You don’t need to dive deep to see how colorism and the way men in her life valued European features may have influenced her. Colorism is an issue people often ignore until they’re forced to acknowledge it, but many dark-skinned women battle it daily. You can be shocked by Lil Kim’s new look, you can make jokes, but we all need to seriously take time to think about how women with darker skin are regularly considered less than and overlooked.